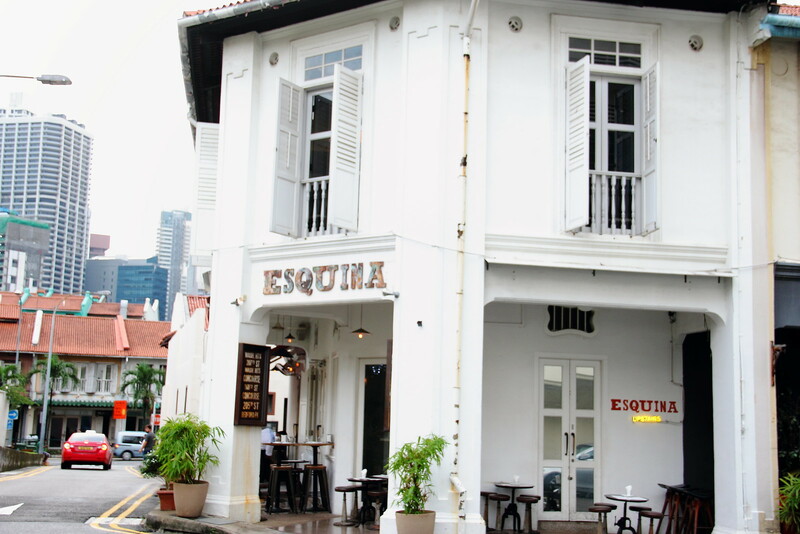 Esquina located in the corner of Jiak Chuan Street has been known for its unique Spanish tapas since its launch in December 2011. From September 2015, new Executive Chef Carlos Montobbio helms the kitchen. 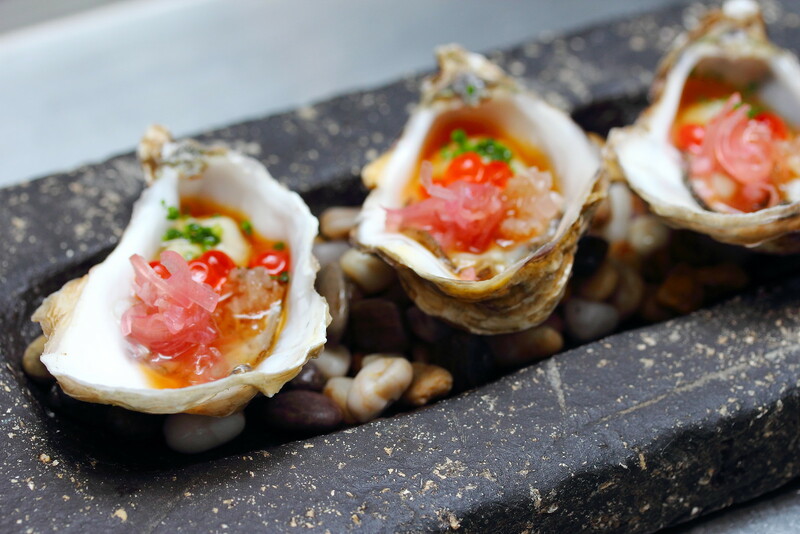 At the same time, he also launches a new menu inspired by his fond memories of Spain and experiences in Singapore. Dinner at Esquina started with some Oyster ($7). The freshness paired with Jalapeno ponzu, salmon roe and pickled ginger flower works wonderfully on the palate, accentuating the whole enjoyment. 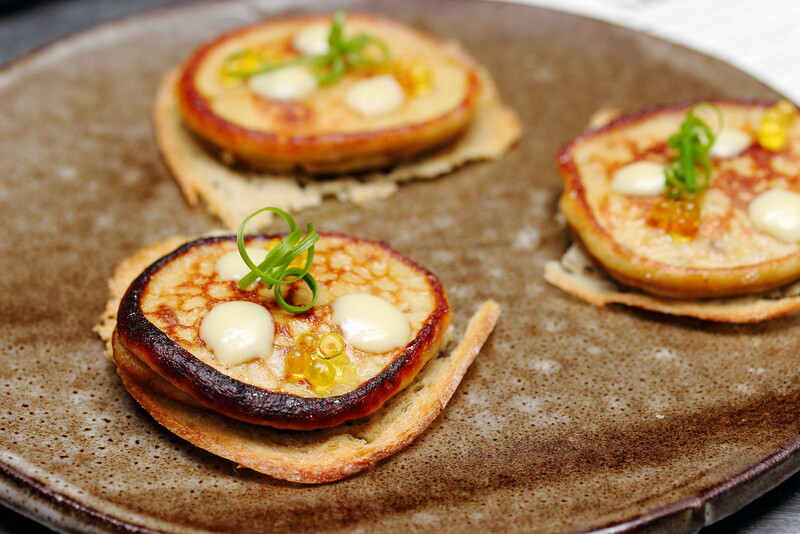 The Esquina's Spanish Omelette ($14) is Chef Carlos's modern interpretation of the classic dish. 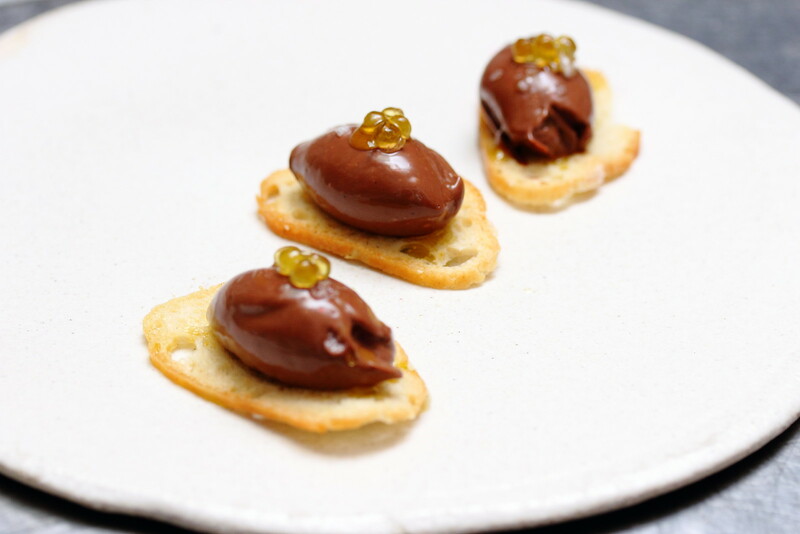 Comprising of confit onion, potato, olive oil caviar on a crispy bread, this is delectable especially the crispy bread giving an additional layer of texture. How about some sushi at a Spanish tapas place? 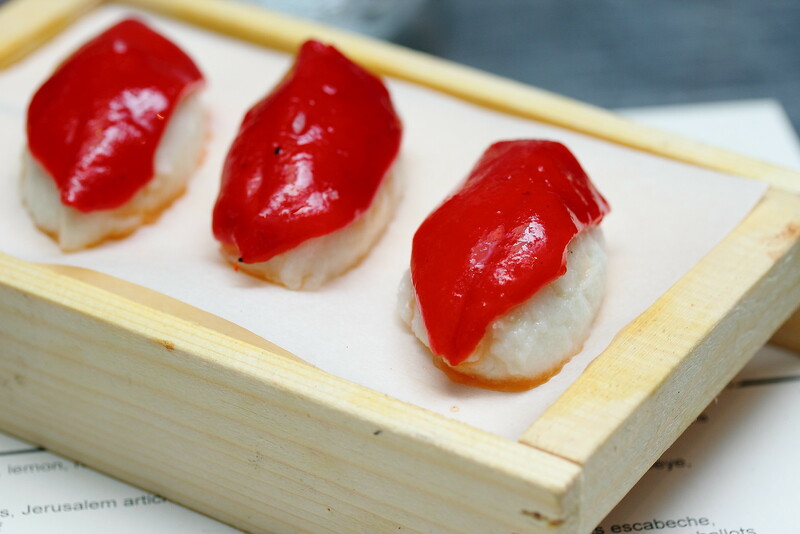 Well to be exact, this is Spanish Nigiri ($6), made from bacalao brandade and roasted bell pepper into a sushi form. The salted cod with garlic oil and the roasted bell pepper definitely is another unique experience to be enjoyed at a Spanish tapas place. 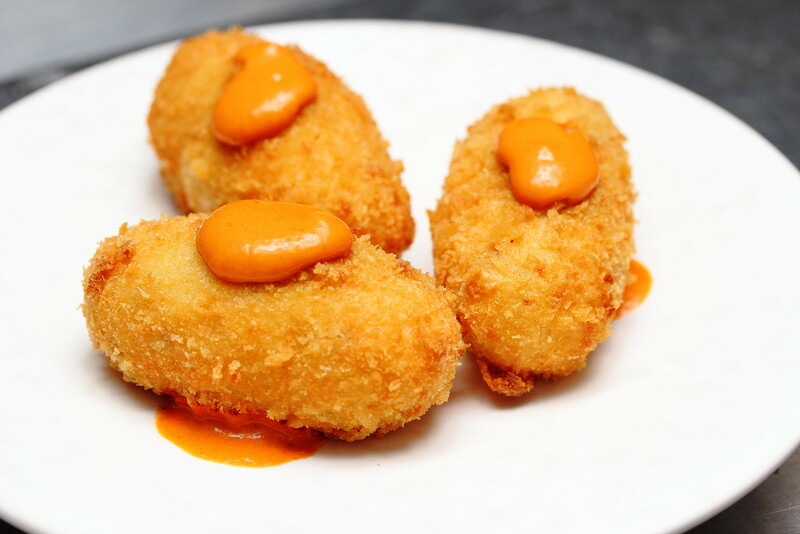 The Chorizo Croquetas ($12) with piquillo mayo compared to the other dishes I have tried so far is rather straight forward in terms of textures and flavours. It just hit you like a bulldozer with its rich flavour and crispiness. 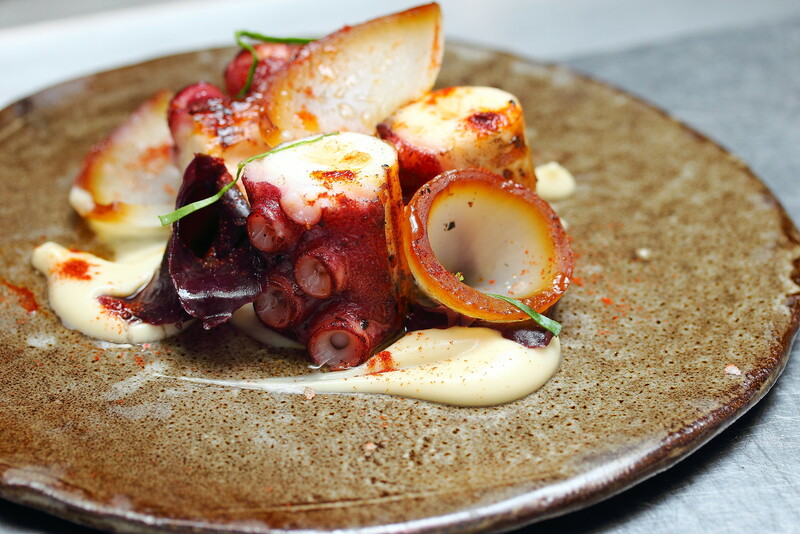 A signature at Esquina is the Grilled Spanish Octopus ($28) which is first sou vide then charred for a tender and smoky enjoyment. It is accompanied with Jerusalem artichoke, burnt onion and oyster leaf. The Saffron Paella ($24) is one of my favourite among the dishes I tried. 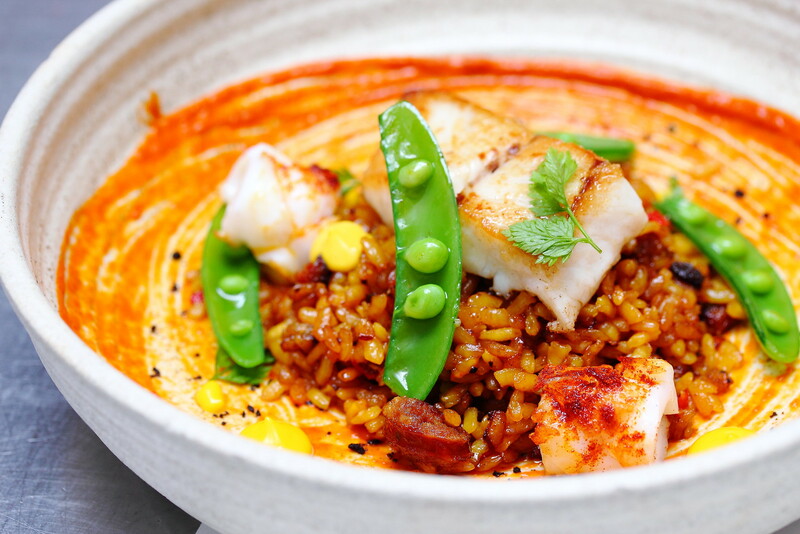 The paella is not only flavourful but comes with a nice crispiness. I noticed the chef scraping the rice grains from the pan, which explains the crispy paella. The dish is further accompanied with pan fried red snapper, chorizo and snow peas for a complete meal. I have tried pigeon before but they were deep fried. 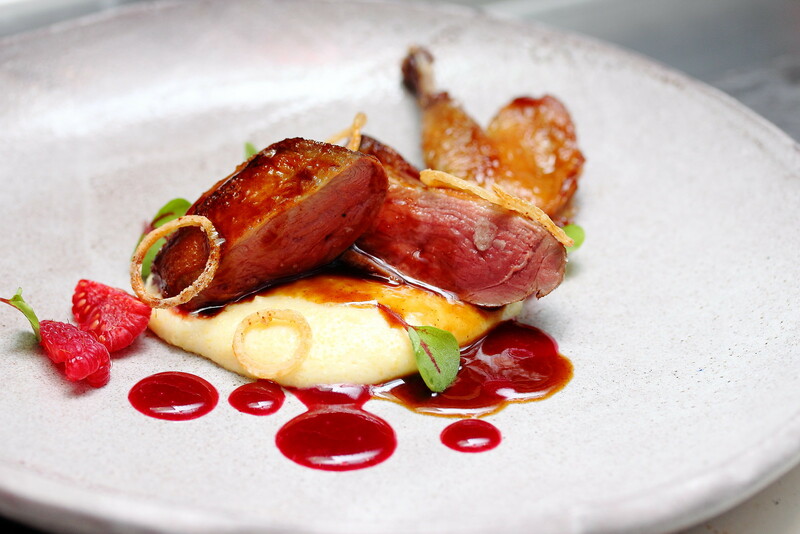 The Pigeon ($22) at Esquina is cooked to a beautiful pink and paired with forest berries escabeche, burnt rosemary polenta and crisp shallots. This is my first time having pigeon in this doneness and it tasted like having pig liver. 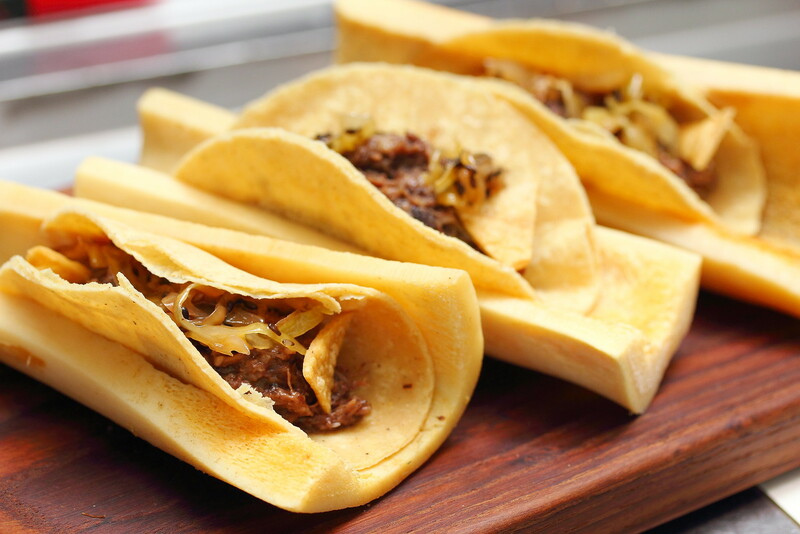 Love the different play of textures in the Beef Cheeks ($18) with baked bone marrow, sesame pickled cabbage, wrapped in a corn tortilla. I thought a little Jalapeno will spice things up more. 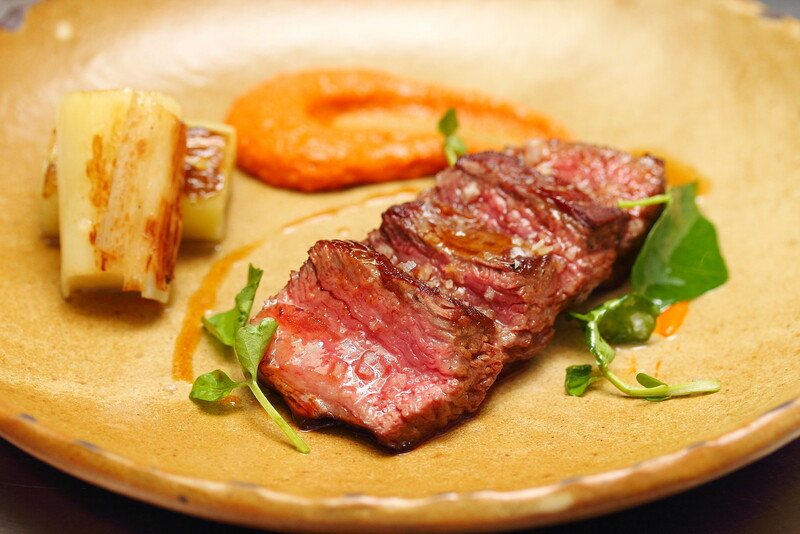 The other memorable dish at Esquina is the US "Family Reserve" Beef Ribeye ($38) with charred leeks and romesco. It is cooked to a beautiful sear on the exterior while retaining the beautiful flavour and juiciness. This is pure heavenly enjoyment. A classic from the old menu is the Sea Urchin ($22) with crab and lobster bisque, smoked herring ore and sea grapes. Unfortunately I felt disappointed with the dish. 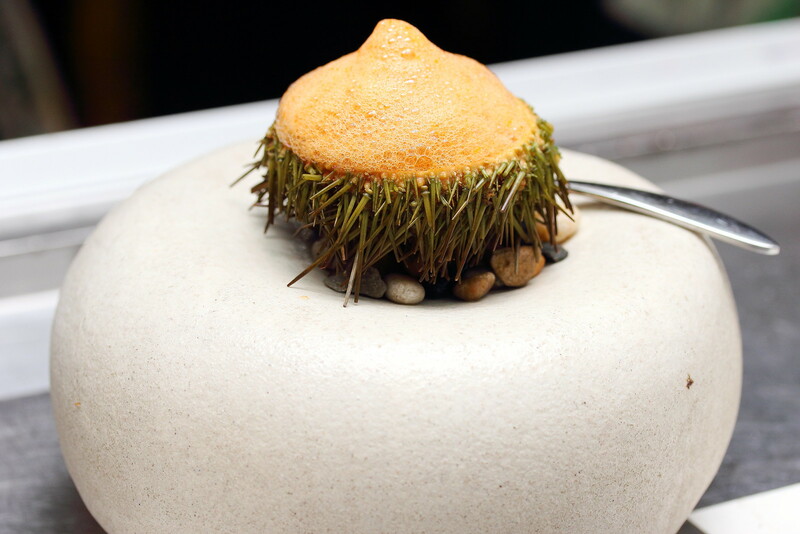 I noticed that the chef actually cooked the sea urchin before being served in the sea urchin shell. The result is a rather bland sea urchin with a cooked egg white like texture. In short, the unami flavour of the sea urchin is lost in the execution. We were served some palate cleanser before moving to our dessert. A real unique and surprise dessert is the "BBC" dessert ($15). It stands for Banana, Beer and Caramel. After many trial and errors, Chef Carlos finally found the right beer to his beer ice cream. I was really taken back by the distinct beer flavour in the ice cream. 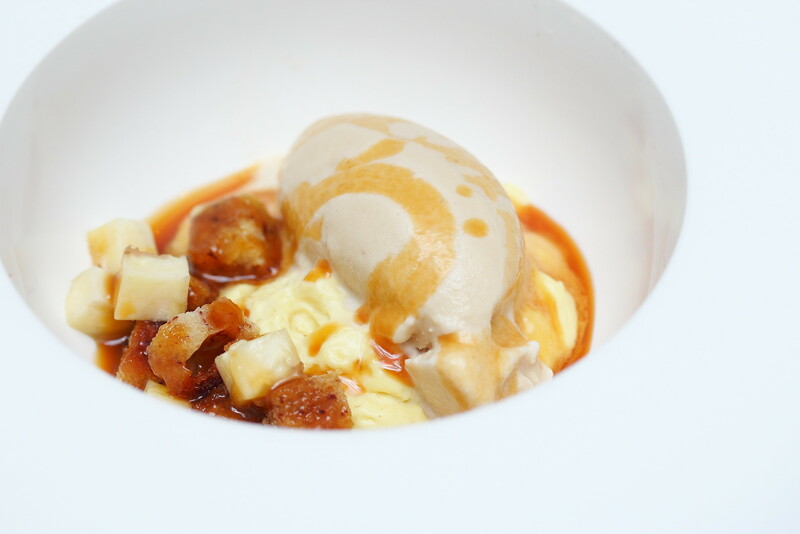 More so how the banana and warm caramel sauce work hand in hand for this amazing dessert. Esquina definitely has live up to its name for creating unique Spanish tapas. I was really impressed with my dining experience. Chef Carlos has also brought in new refreshed idea to the menu that will delight both old and new diners.